What would you do if a monkey unexpectedly attacks you? I had an unforgettable experience with this monkey during our recent trip to Kuala Lumpur (KL). 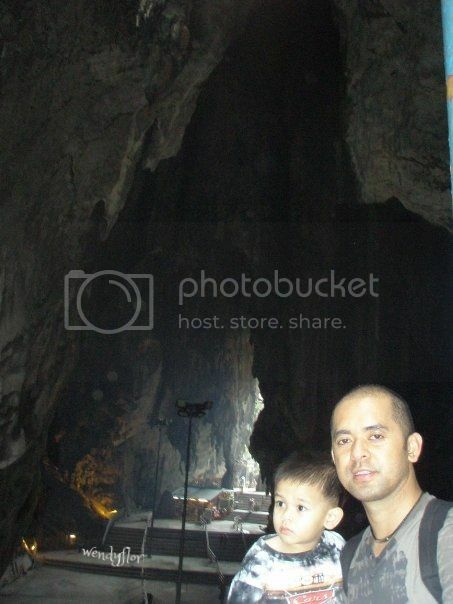 We went to Batu Cave located on the North of KL. The cave is a sacred place for the Hindus but it is soooo full of monkeys. 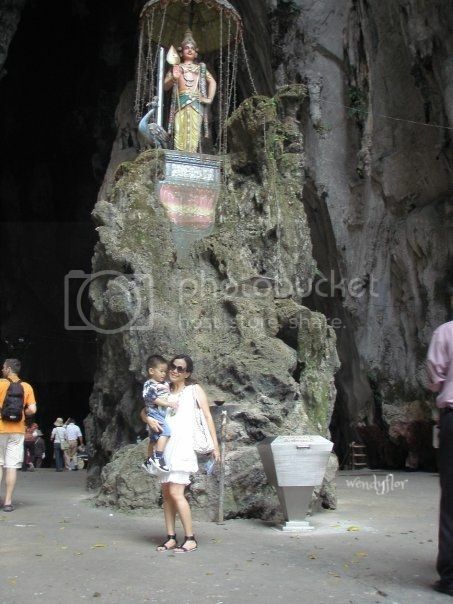 You will be greeted by monkeys at the steps leading to the Batu Caves. On top, there will be even more monkeys. I was laughing at a monkey who was digging in on a garbage can for junk foods. While I was walking up the steps leading to the prayer hall, I was holding my son’s milk in a tetra pack on one hand. My husband and son were already on top when suddenly I saw a monkey heading toward me. Three Caucasian men were also taking pictures of me. They knew what the monkey was after… He grabbed the milk from my hand and I can only shout for my husband. I was thinking, I can’t struggle because I might fall. I have a baby in my tummy! Scary thought! After a few seconds I regained my composure. I got the camera out of my bag and I just had to take the picture of the monkey who grabbed my son’s milk. hi jehan – kakatawa naman ng mga monkeys, they can recognize the pinoys. LOL. sa subic, bawal ang magbigay ng food sa mga monkeys pero others still do it. kami mga duwakong, we stopped the cars pero we had to roll up the windows when the monkeys were approaching hehehe. 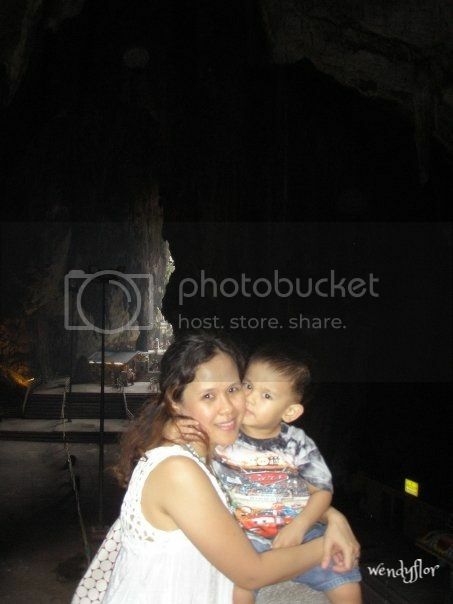 Hi cathy – oo nga, i was afraid i was going to fall. remember the white dress? i was wearing that. aside from falling, i was also worried the monkey might tear up my dress. hahaha. that happened to my cousin when we were visiting this monkey temple in thailand… my cousin was eating an ice cream cone, and the monkey actually crossed the street to lunge at the ice cream from my cousin…buti na lng he just threw the cone on the ground… scary ang monkeys promise! buti you ddnt fall or anything! hi cher – it was scary when the monkey was grabbing the milk. when he got what he wanted, wala na syang pakialam sa akin hahaha. it was an experience!